Hello friends! I have a short post and video today featuring the B6 Edit Diary and the March Hopeful Kit from The Reset Girl™! 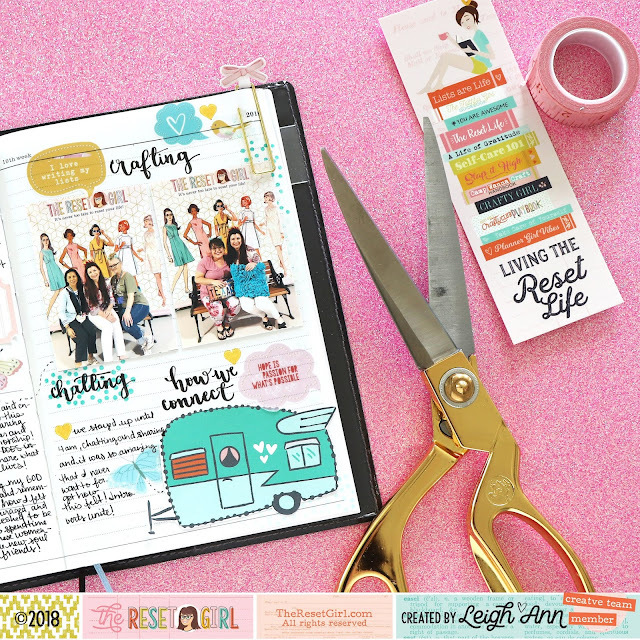 Since this is a B6(5x7) size, it is perfect to fit some journaling listing and photo journaling too! Two 2x3 photos fit nicely on this right side. 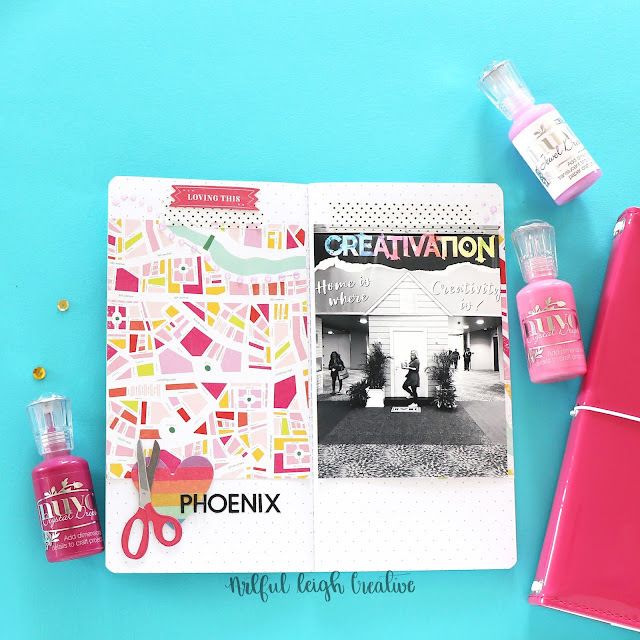 with plenty of room for journaling too! Hello friends! 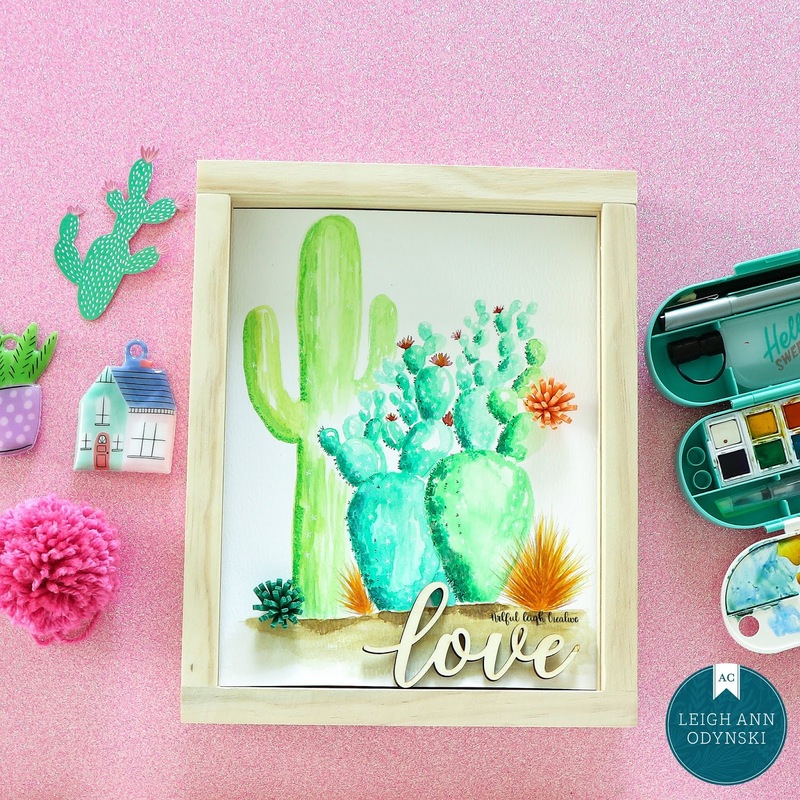 Leigh here, to share a new set from Homemade With Love! 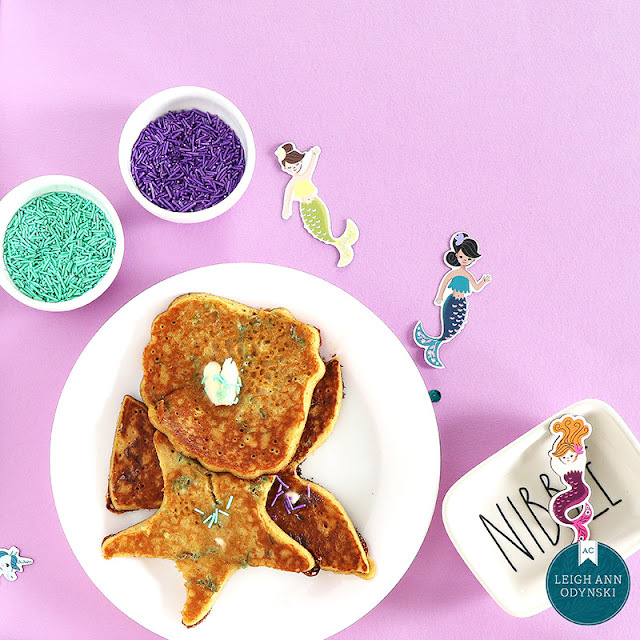 The All-In-One Pancake Kit contains Silicone Molds, Bottles, Pancake Mix, and Sprinkles so that you have everything you need to create some magic in your everyday! I got to try out the Under The Sea Kit, complete with a whale’s tale, starfish, and seashell molds! The tale could also be a mermaid tale! 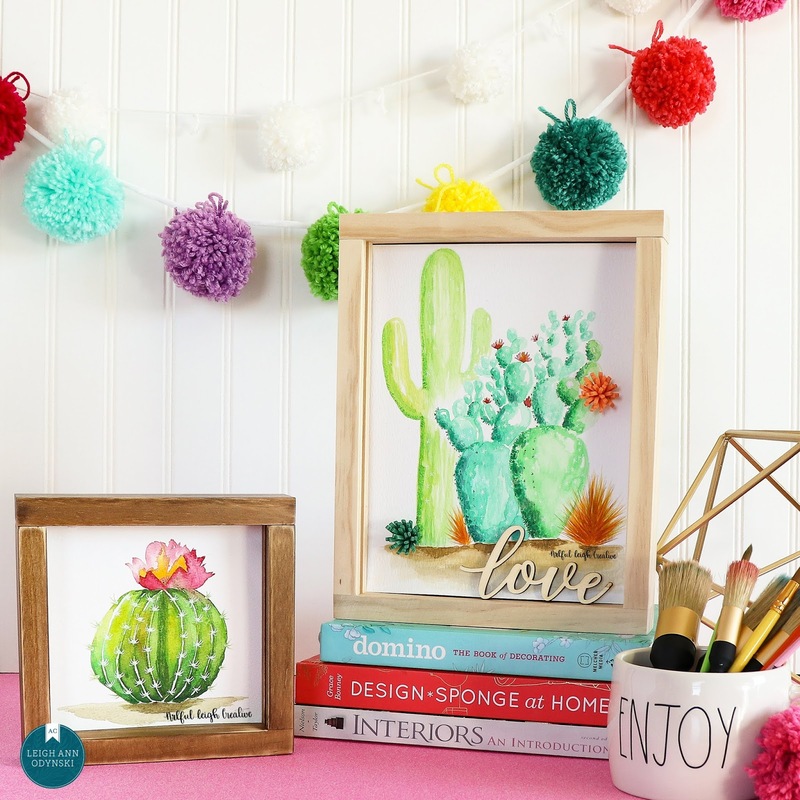 This is such a fun way to bring some whimsy and fun to your homemade creations! Kids love this! These kits are available at Michael’s Stores now! The molds are silicone, that withstand the heat of your griddle. 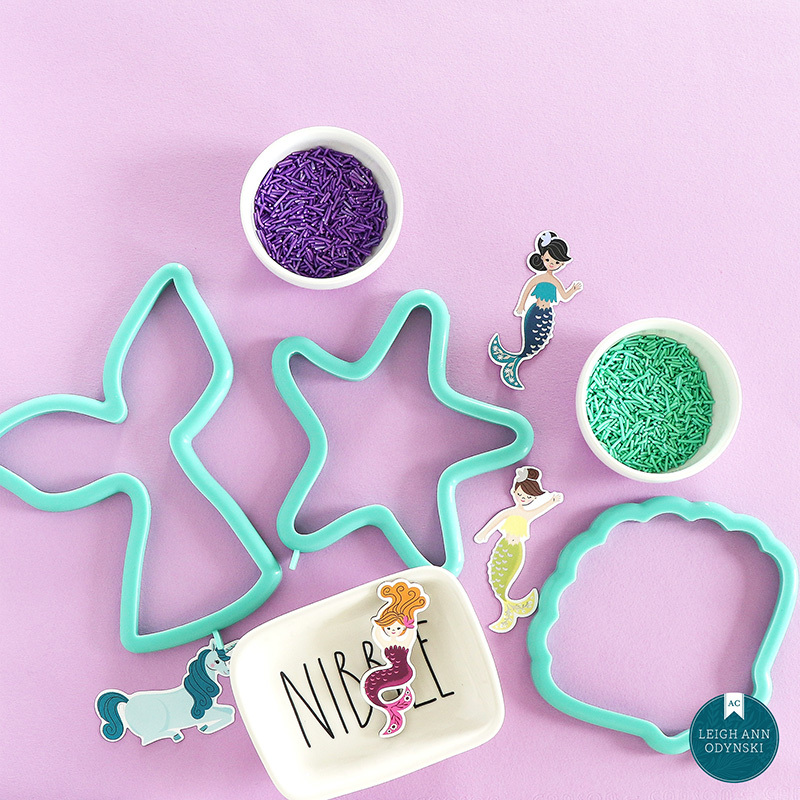 I mean, how cute is the aqua color of the molds? I put the sprinkles in a dip bowl so that I could easily add them to the pancakes as they were cooking. You can embellish the pancakes after cooking with a dollop of whip cream and more sprinkles, but I thought it would be fun to add them to the mix for some added color. Kids love sprinkles! I got my supplies ready in a bowl, and mixed them up. You can get this ready the night before if you need to have a quick and easy morning breakfast. My family loves breakfast for dinner too, so these are good anytime of the day! I mixed everything up in the bowl, and then added it to the convenient squirt bottle from the kit. It is really easy to add the mix to the molds with the bottle! Here are the finished pancakes complete with butter and sprinkles. I have alway enjoyed making every day a day for fun and memories, like taking the kids through the car wash and letting them dance and have fun while the suds are spraying. Each day we have together is a day to celebrate! 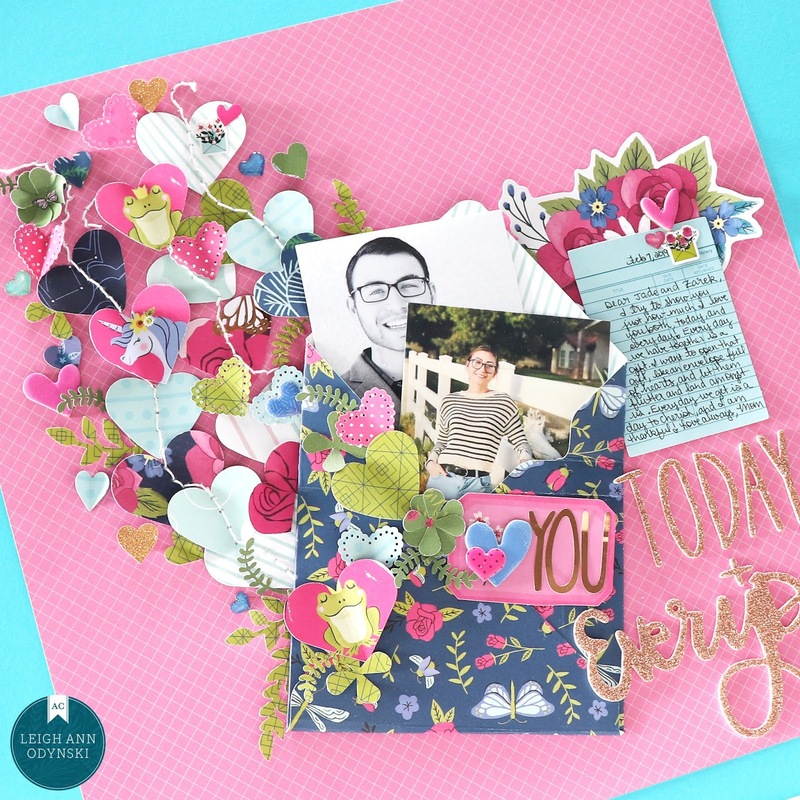 This kit makes it easy to make an everyday celebration out of your morning! 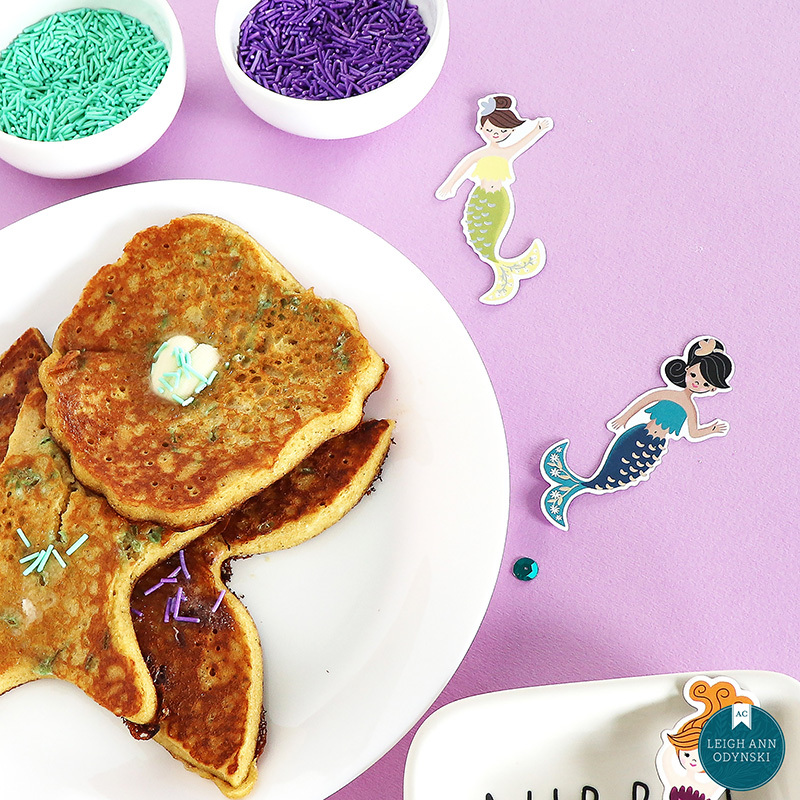 Grandmas, how about fixing a fun Under The Sea theme breakfast for you grandkids? They will never forget your special breakfast day with this kit! The pancakes are super easy to create with the molds, and you simply fill, cook the first side until bubbles appear on top, remove the mold with the handle, and flip. So easy! 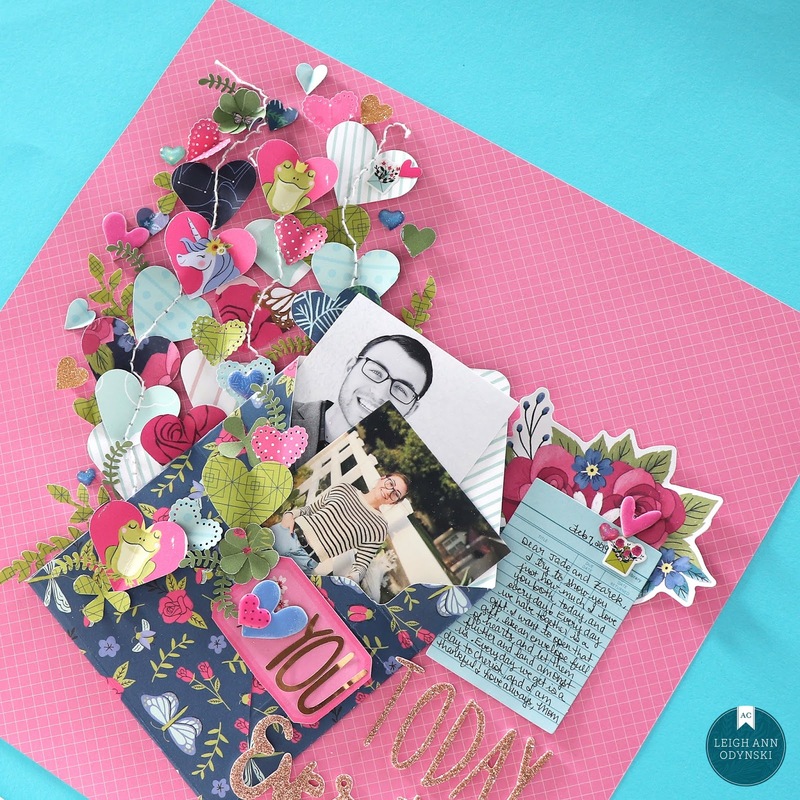 There are plenty of themes in the different kits from Homemade with Love. 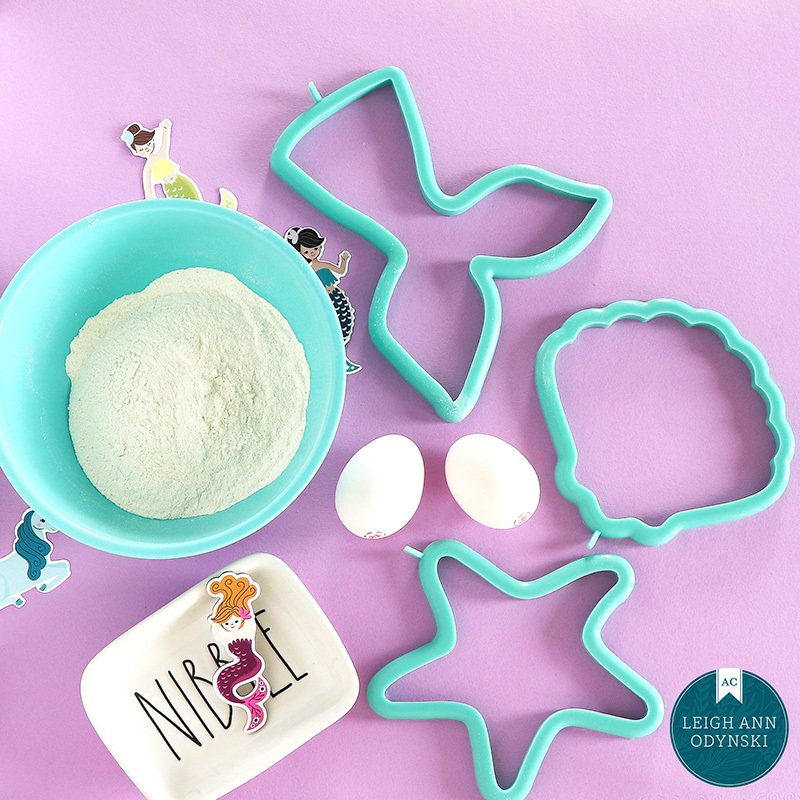 There is a Whimsical, Dinosaur, or Under The Sea Kit ready for you to grab and get cooking at a Michael’s near you today! Thank you for visiting today, and have a happy day making something homemade today! Leigh. This layout started with the story of my childhood dream of becoming a Vet and having as many pets as I could take care of in my home when I grew up! :) I used to sit on my bed, and dream of the day I could have my own family to love and care for! I began the layout with the hand stitched aqua thread using the We R Memory Keepers Happy Stitch Pen. 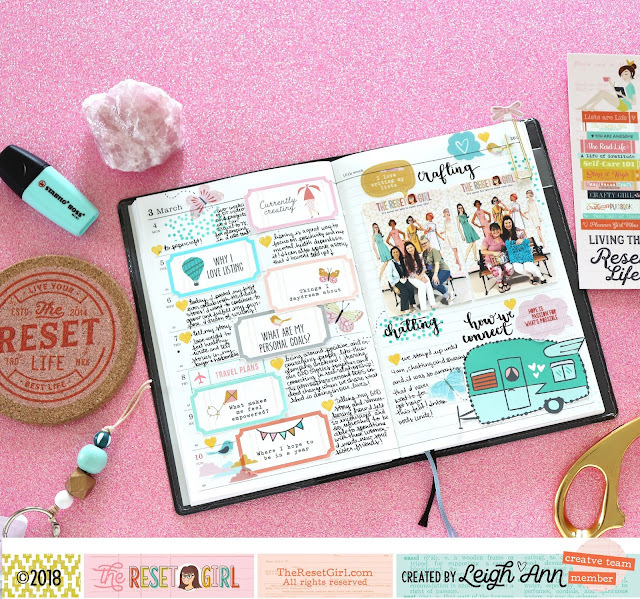 I piled on lots of different fussy cut and punched images from The Reset Girl Treasured Collection. 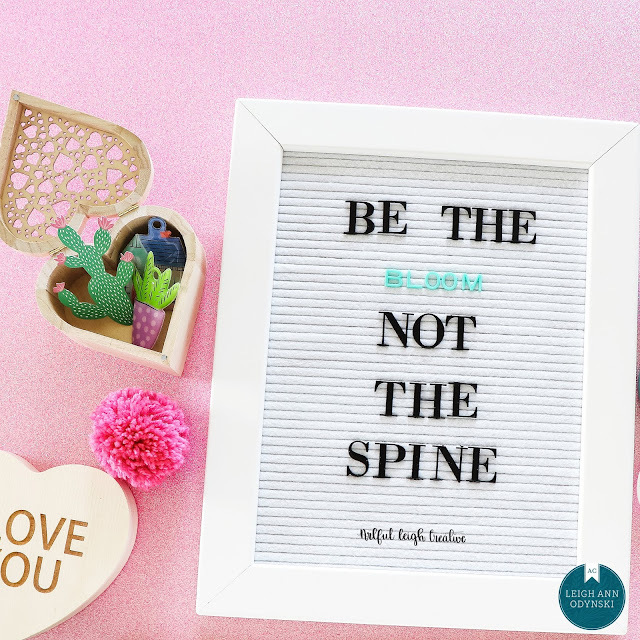 ALL of the embellishments on top of the stitching are from The Reset Girl except the two metallic gold chipboard words and the two hearts. 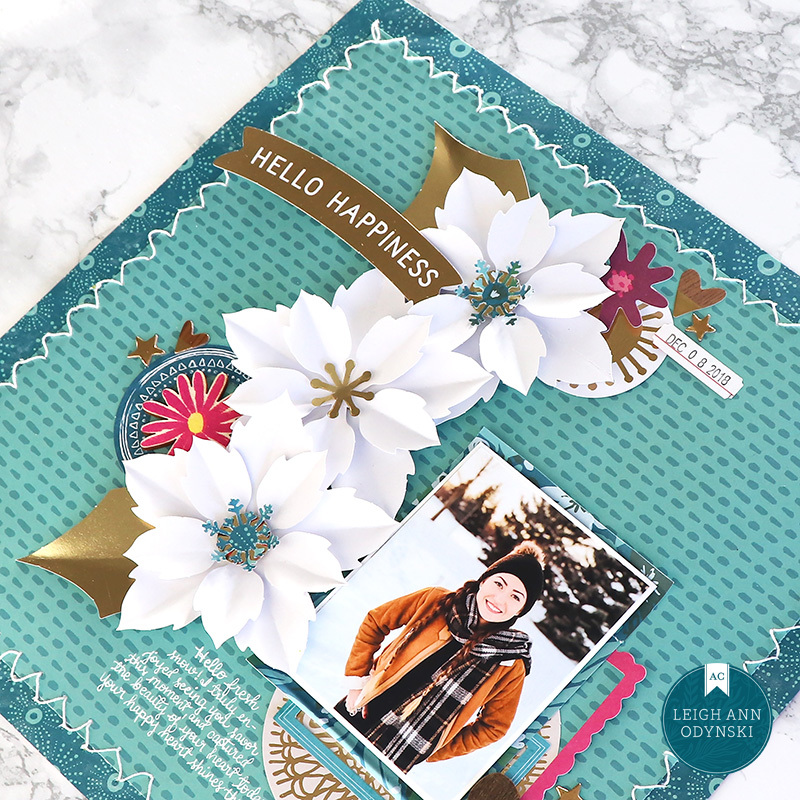 I love adding all the shapes and cutting the photo into a tag shape to coordinate with the design. All the house images are just the cutest! Foam dots are my friend when adding lots of layers. 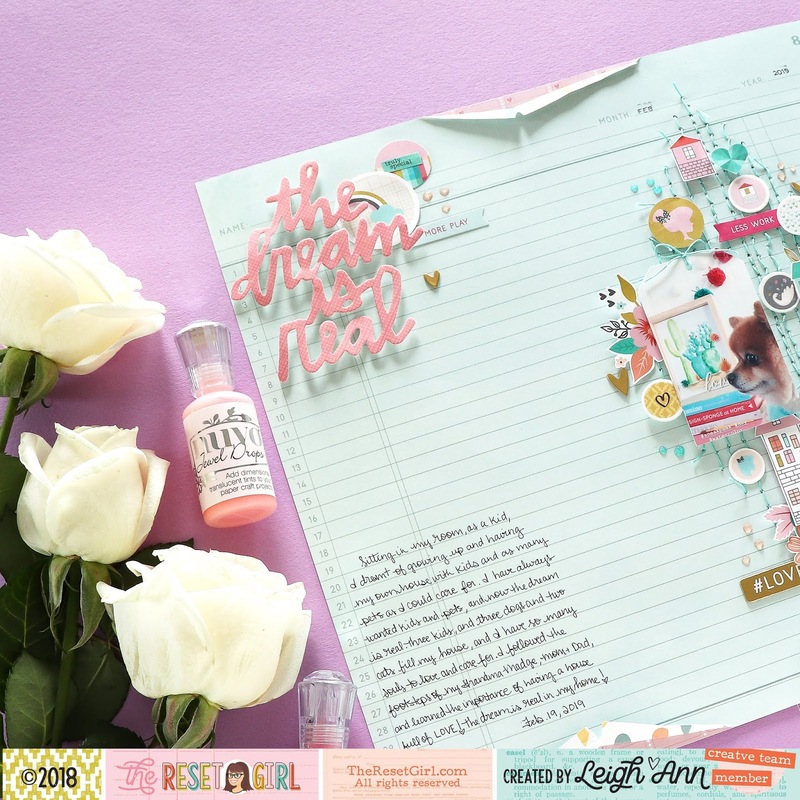 The left side of the layout was made with the punched circles from the Treasured Collection and a title from Dear Lizzy. 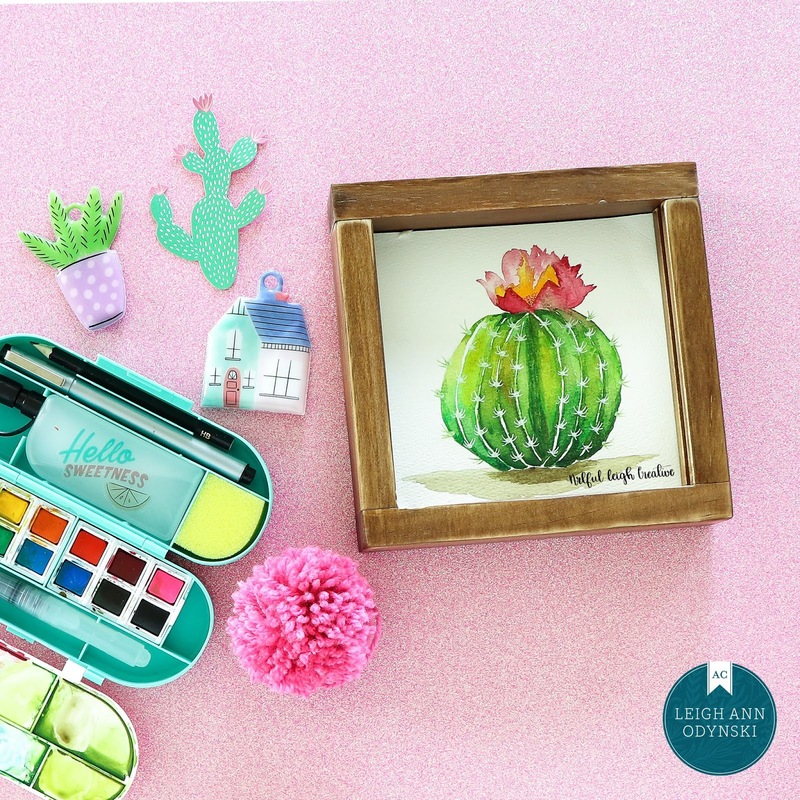 The background paper is from Dear Lizzy's brand new It's All Good collection releasing this March. I added a The Reset Girl word sticker the top pinched circle. I added Nuvo Glitter Drops and Translucent Drops to the page for a different texture and embellishment. Thank you for visiting today, and happy crafting! Hello friends! I have a new layout to share about the love I have for my kids. I love the colors in this Head In The Clouds collection and chose to showcase several of them with a plethora of punched hearts! 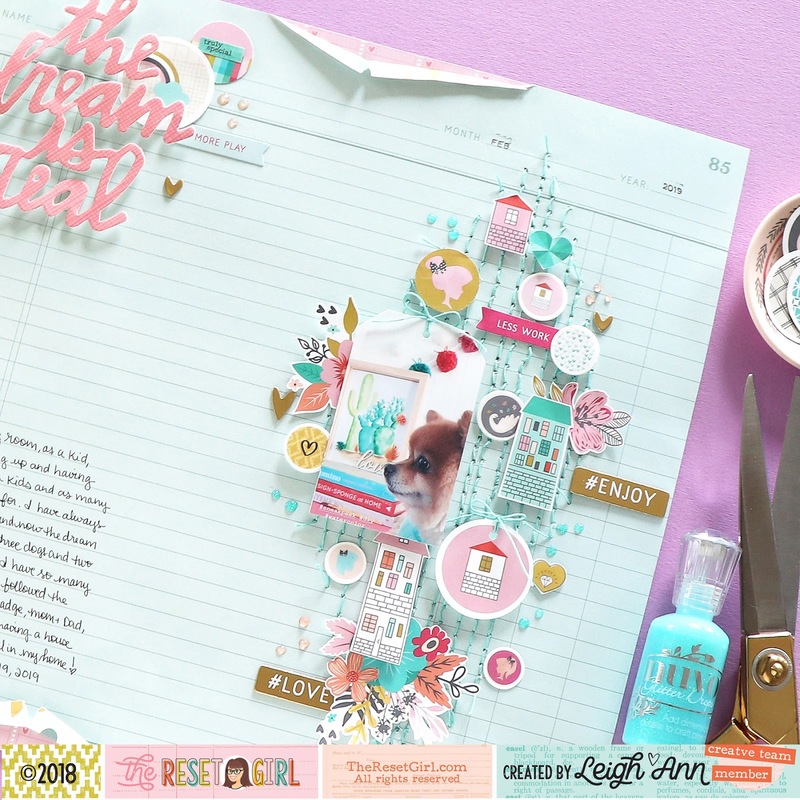 The idea behind this layout is to tell the story of opening every day like it is an envelope full of hearts, ready to flutter and land among us. We just have to pick them up and appreciate them. I decided to tilt the envelope on the page, to make it seem as if it fell open and all the hearts scattered around me. 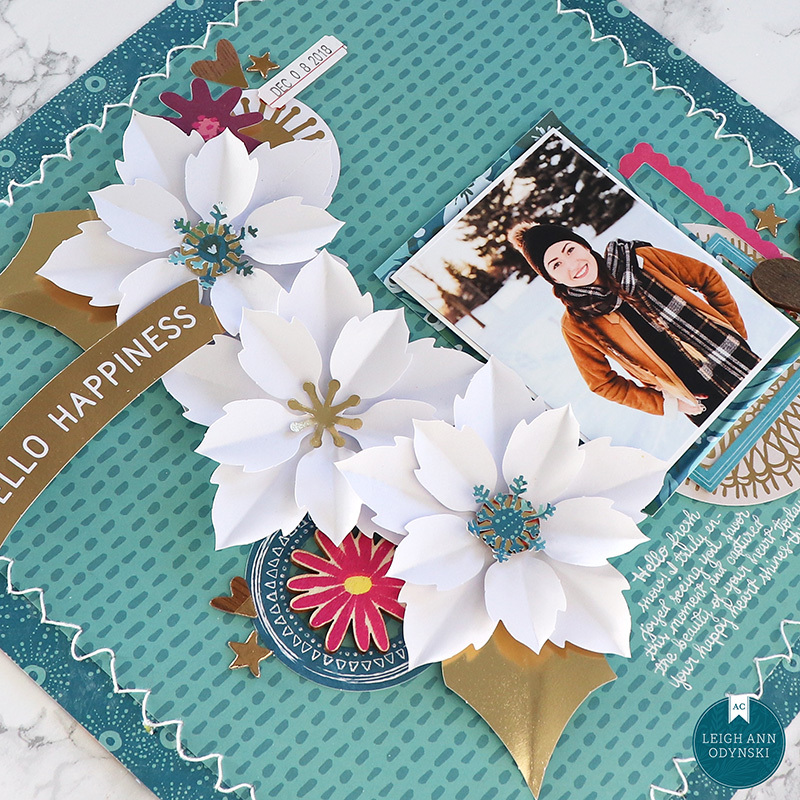 I love the patterns that Shimelle includes in her collections, as they are SO EASY to create with!! You can see the hand stitching created with the We R Memory Keepers Stitch Happy Pen. 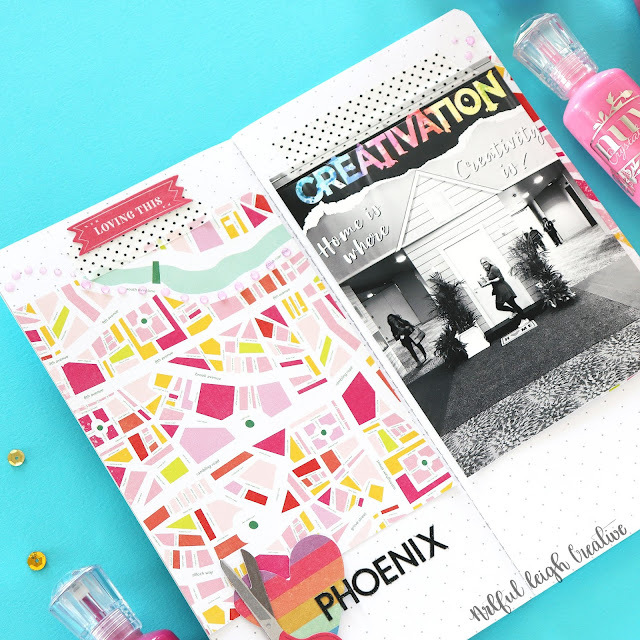 Lots of different tone on tone patterns are used to add interest to the page. The leafy punched bits reiterate the pattern on the envelope, and the plants in the photo. The journaling is hand-written, and added to the Head In The Clouds Die Cut. I love the rose gold glitter Thickers used to create the title. It says "Love You, Today and Every Day". Here is a process video if you would like to watch how this layout came together. Thank you for visiting today, Leigh. Hello friends! 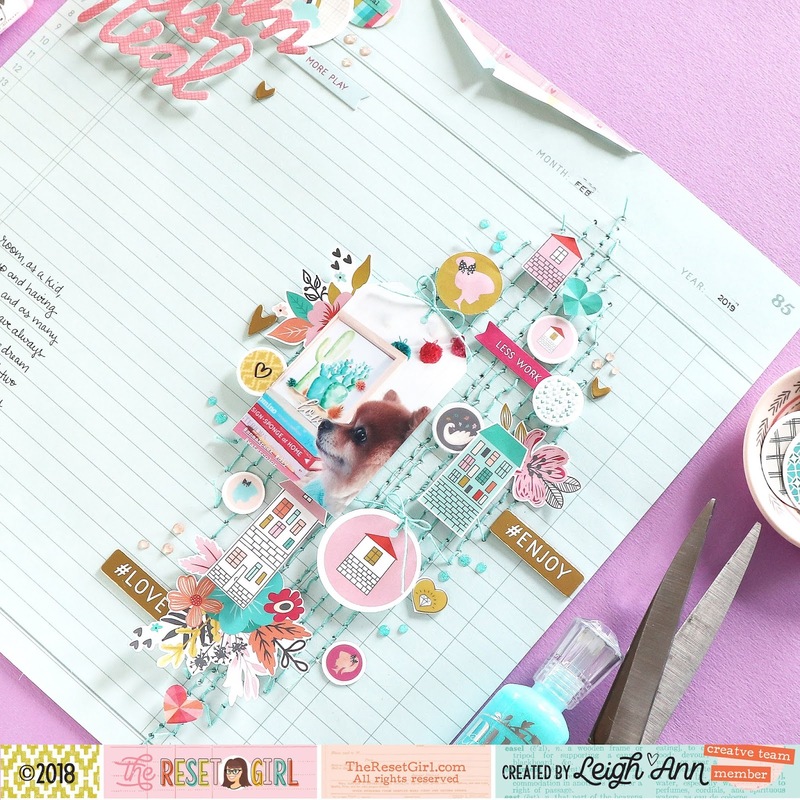 I have a new layout using the American Crafts Dear Lizzy Collection, called New Day. The line has beautiful magenta and teal tones, for a fresh color palette. The teal background helps the photo pop, since the photo was taken in the snow. I placed the poinsettias in a wandering vertical line to point your eye to the photo. You can see the dimension created by folding the poinsettias, a little tip I learned from Jeniffer Gallacher. The three spots of magenta on the layout help lead your eye to the photo as well. I added punched snowflakes to two of the poinsettias. 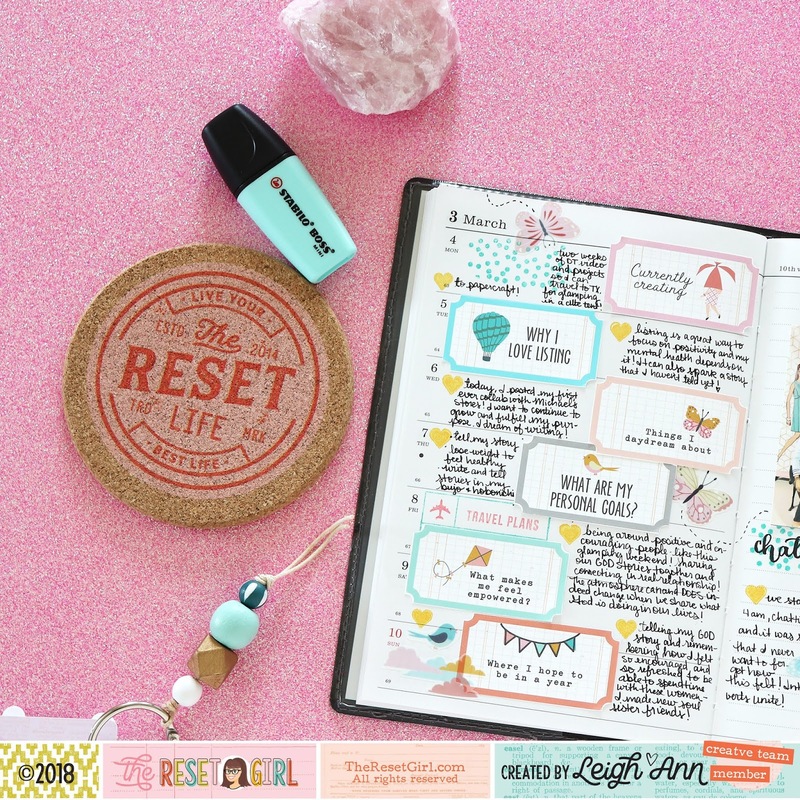 In this close-up view, you can see the white gel pen journaling . It finished off the page, and ties in the white from the flowers and the photo. 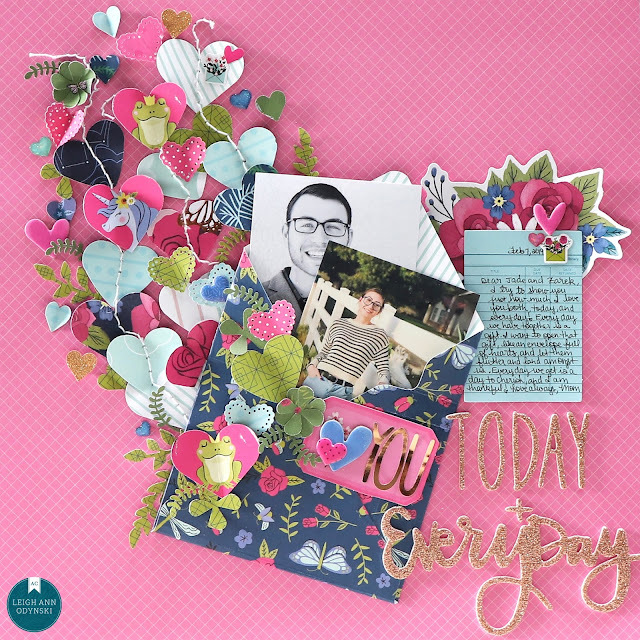 I piled embellishments from the New Day collection near the bottom right of the photo. Thank you for joining me, and happy crafting!